OS/2 Warp and eComstation compatible PC Card (PCMCIA) chipsets. 1. PCMCIA Socket Chipsets Matrix. Most OS/2 users own a notebook nowadays, and though USB is a very powerful and flexible technology, it still can't compete with the popularity of the classic PCMCIA interface, which still is the standard for laptops. PCMCIA is short for Personal Computer Memory Card International Association, which is an industry group organized in 1989 to promote standards for a credit card-size memory or Input/Output device that would fit into a personal computer, usually a notebook or laptop computer. The PCMCIA 2.1 Standard was published in 1993. As a result, PC users can be assured of standard attachments for any peripheral device that follows the standard. The initial standard and its subsequent releases describe a standard product, the PC Card. CardBus is the trade name for an advanced PC Card specification. The technology is used primarily in notebook and portable computers. The CardBus card fits in a slot like a conventional PC card. Direct Memory Access (DMA) is supported. A 32-bit path is used for data transfer. The operating speed is several times greater. CardBus works at lower battery voltage. A CardBus slot, and the associated software, interrogates a card when the card is first inserted in the slot. 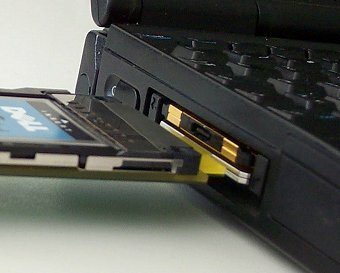 If a PC card has been inserted, the computer uses it as if the slot were a conventional PCMCIA slot. If a CardBus card has been inserted, the computer reconfigures the slot to take advantage of the enhanced operating features. For CardBus to work, the operating system must support 32-bit data paths, precisely what OS/2 does support. Note that other PCMCIA Socket drivers do exist. We have only picked out the most important ones that support the widest range of different chipsets. The table below lists a selection of the chipsets that are known to be working with OS/2, and which drivers support them. This column lists the chipsets used in PCMCIA/PC Card solutions. Some manufacturers tend to release new versions of the same product. For example: a version A, a version B... Sometimes, a driver must explicitly support these versions, since they sometimes each need a special identification system. The difference between PC Card and CardBus have been mentioned above. CardBus, of course, is better than just regular PC Card. This column indicates whether the chipset is a CardBus device ( ) or just a regular classic PCMCIA socket ( ). The identification number of the manufacturer of the chipset. The identification number of the device itself. You need the former and this one to figure out which chipset you have using pci.exe. Whether or not IBM OS/2 Warp 4 GA (Merlin) natively supports these chipsets. One of IBM's official driver that offers support for multiple chipsets (cardbus.exe). Part of SoftWare Choice. Whilst the socket services driver for TI cardbus bridges IBM2SS14.SYS provided by IBM (the driver above) does it's job, it supports only some of the many TI chips. Daniela's Texas Instruments Cardbus Driver is supposed to support all TI cardbus bridges. The driver is based on the IBM2SS14 v3.0/1.01.00 driver. If you want more power, or if you can't get the free drivers to work then the German company APSoft has developed a commercial PCMCIA driver which is described here. This driver costs around € 60,-. It will be delivered without technical support. However, the company will receive bug reports and makes new releases as and when applicable, and corporate support for the driver is available via os2warp.be Corporate Support Services. The driver provides support for many Cardbus sockets and seems to be very promising. You can contact the company under sales@tssc.de. Make sure that you give the impression that you know what you are doing when you want to install the driver, otherwise they may refuse selling it to you (due to the technical support restriction). For os2warp.be Corporate Support Customers an installer for the APSoft device driver is provided which automatically detects the applicable chipset of the host computer and then installs PC Card Director and the SSPCIC.SYS driver with the correct required config.sys switches. On its web site, APSoft has referred to os2warp.be Corporate Support Services for its customers' additional support requirements. For more information about os2warp.be PCMCIA Support Services (including support for the APSoft device driver), contact the os2warp.be Support Services responsible. Older IBM driver that offers explicit support for Cirrus Logic 6729 chipsets. IBM driver that combines the chipset support offered by the former driver and ss2intel.zip. Driver that supports the SL-revision of Intel's 82365 chip. A derived device driver of IBM's PC Card Director to support a selected number of chipsets used in IBM and DELL notebooks. Driver should - of course - also work with other notebooks. A derived device driver of IBM's PC Card Director to support some TI chipsets used in DELL CPxx notebooks. A driver that supports the VLSI chipset used in PCMCIA socket slots. We would like to express our thanks to Norloff's OS/2 BBS for allowing us to test and host this driver. Private binary device driver that offers support for Intel 82365 chipset and compatibles (like some Texas Instruments solutions) too. IBM device driver that offers support for some chipsets used in a selected number of (older) IBM ThinkPad notebooks. Note: we are hosting some drivers since some of them are not available via the official copyright holder. We are not responsible for possible loss of data nor damage to your system that may result from (improper) use of these device drivers. Refer to the documentation included with the drivers for copyright information. Should be supported, no confirmations though. Can possible be supported, but no confirmations yet. os2warp.be provides Corporate Support Services for PCMCIA and PCCard related topics to companies and individuals, including guaranteed support for the TSSC APSoft device driver. Below some basic information is provided for the PCMCIA Support Services. 2.1. IBM OS/2 Integrated PCMCIA Drivers. PCMCIA Socket Services Driver: one of the device drivers listed in the PCMCIA Socket Chipsets Matrix. 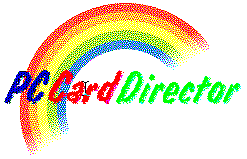 The PC Card Director is an IBM-supplied utility that lets you use a PC Card with "Plug and Play" capability. The PC Card Director is to be used with most of the device drivers from the PCMCIA Socket Chipsets Matrix. It is available via driver (1) of the PCMCIA Socket Chipsets Matrix. For your convenience, we host IBM's user's manual. In this document you will find everything you need to know concerning the PC Card Director. No information of this list may be copied, redistributed, nor edited without written permission of the author. This document/file, nor the information it contains may not be hosted on any other server than www.os2warp.be unless explicitly granted by both Jonas Buys and os2warp.be by written proof. Last modified: 2004/09/22, 12:19 | This site is sponsored by Mensys B.V.